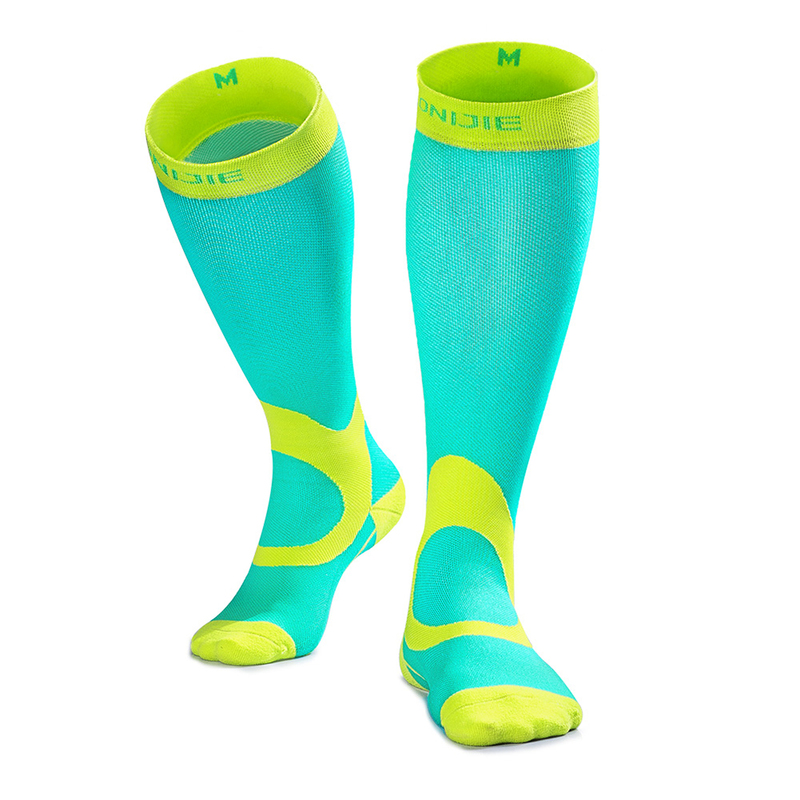 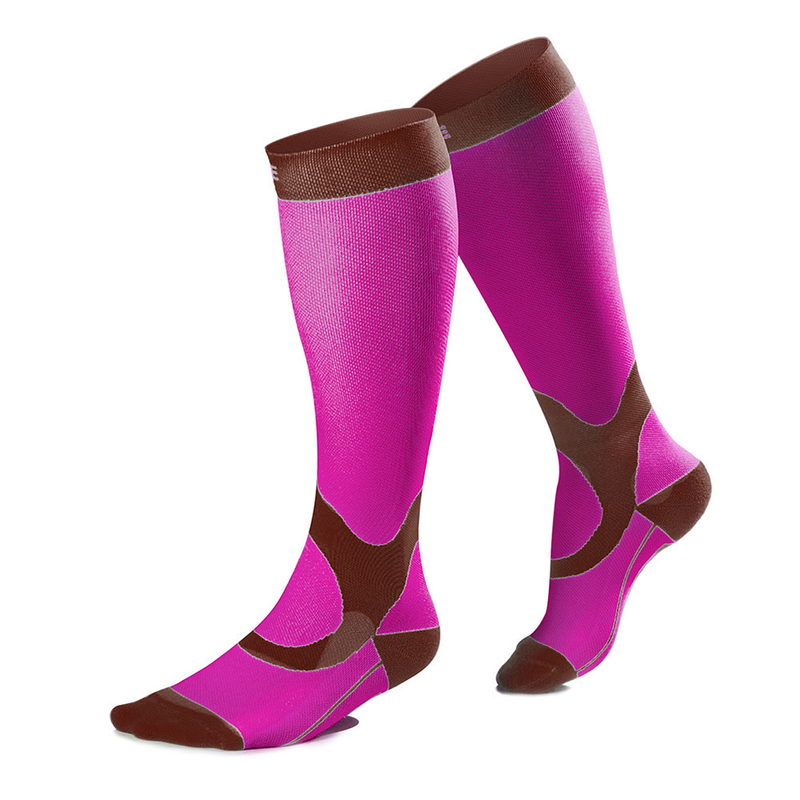 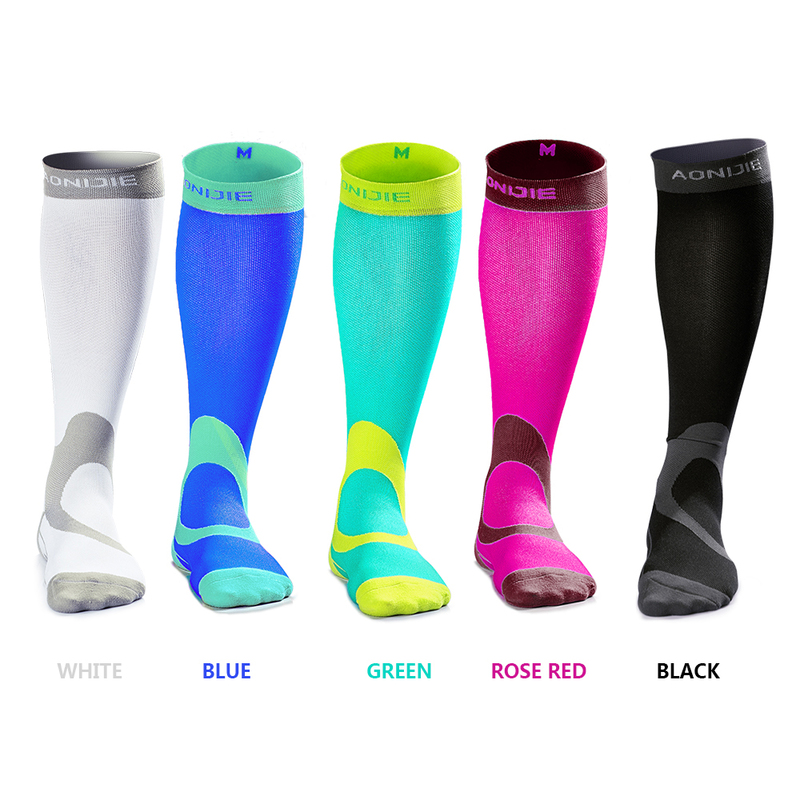 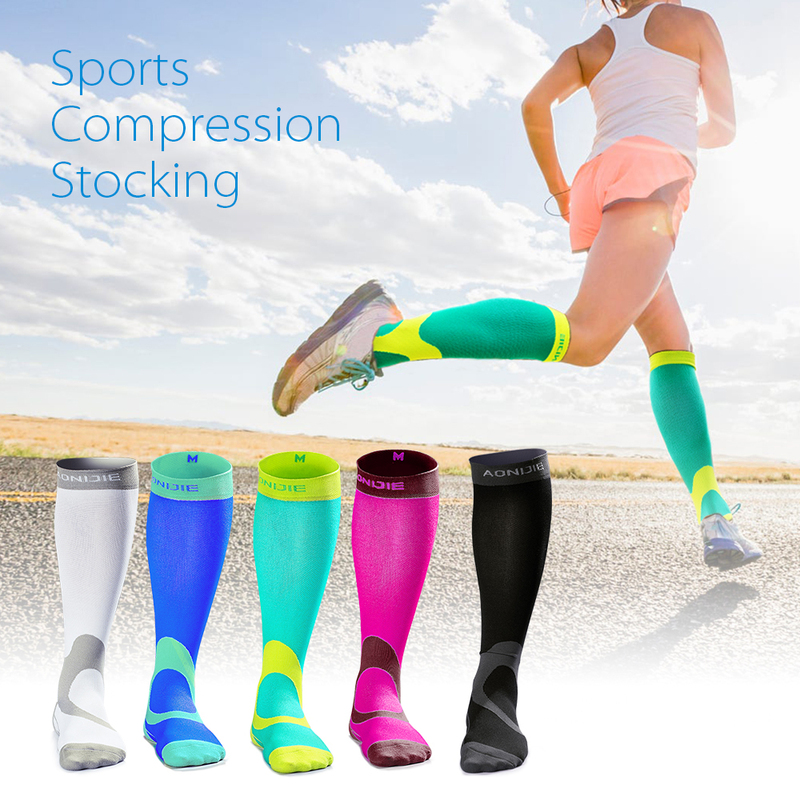 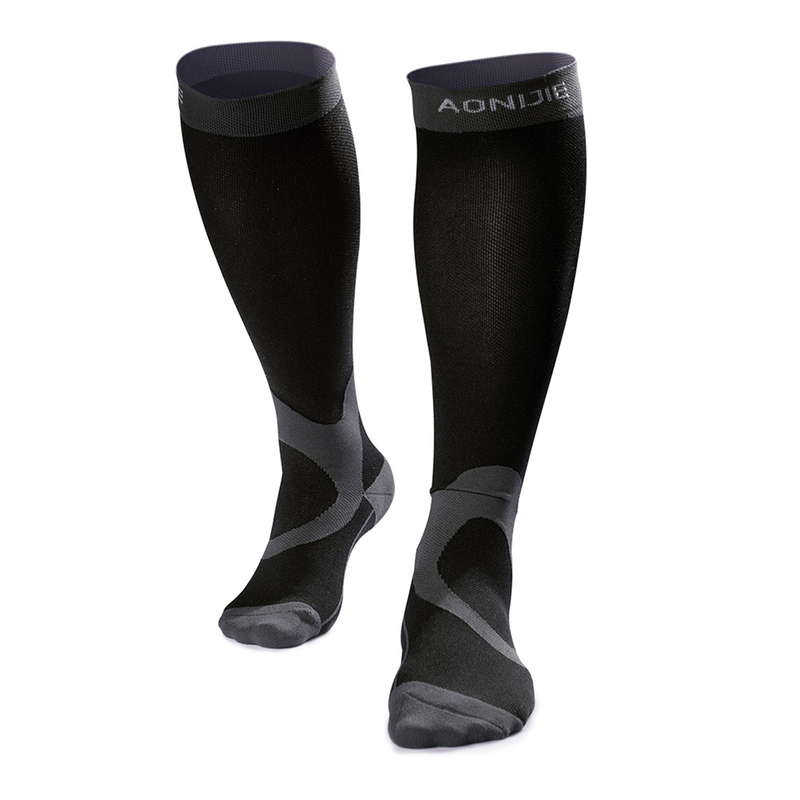 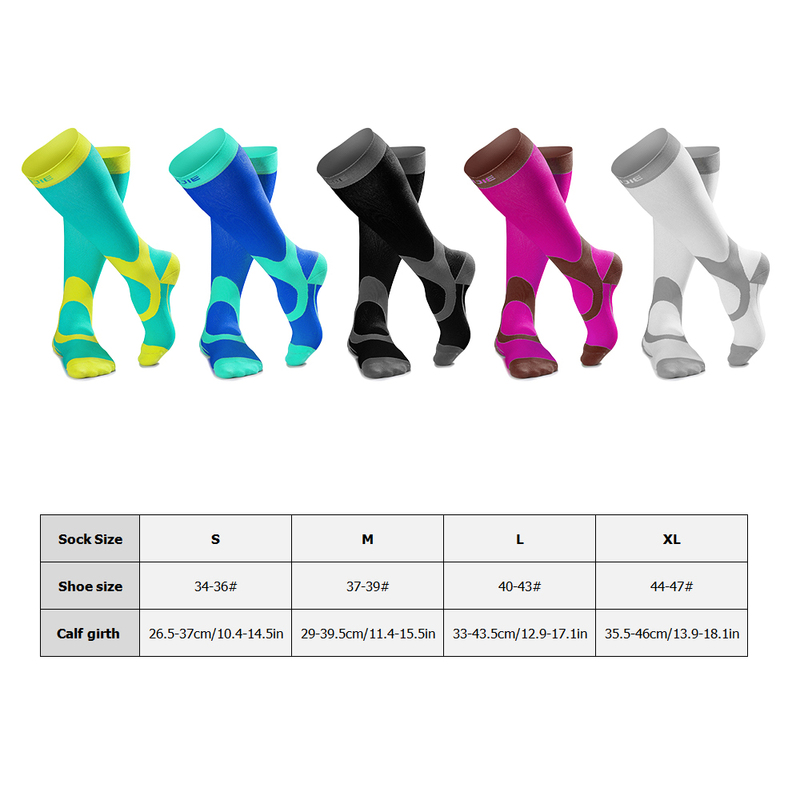 Men and women sports compression socks knee high great for running marathons, hiking or spending time on your feet. 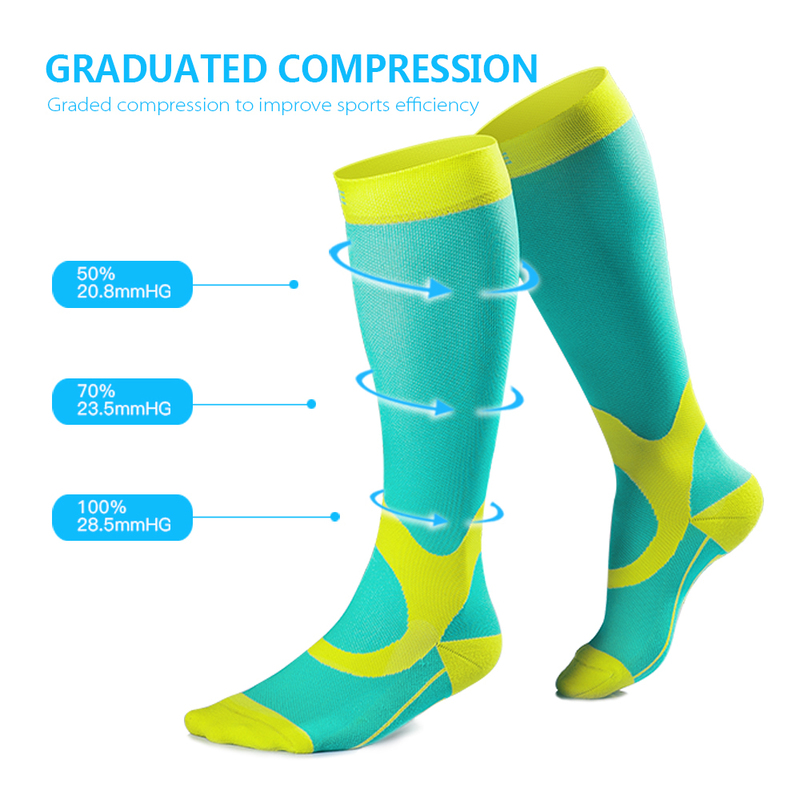 Graduated compression promotes blood backflow and lactic acid decomposition, and to reduce cramps possibility while facilitating the recovery of muscle. 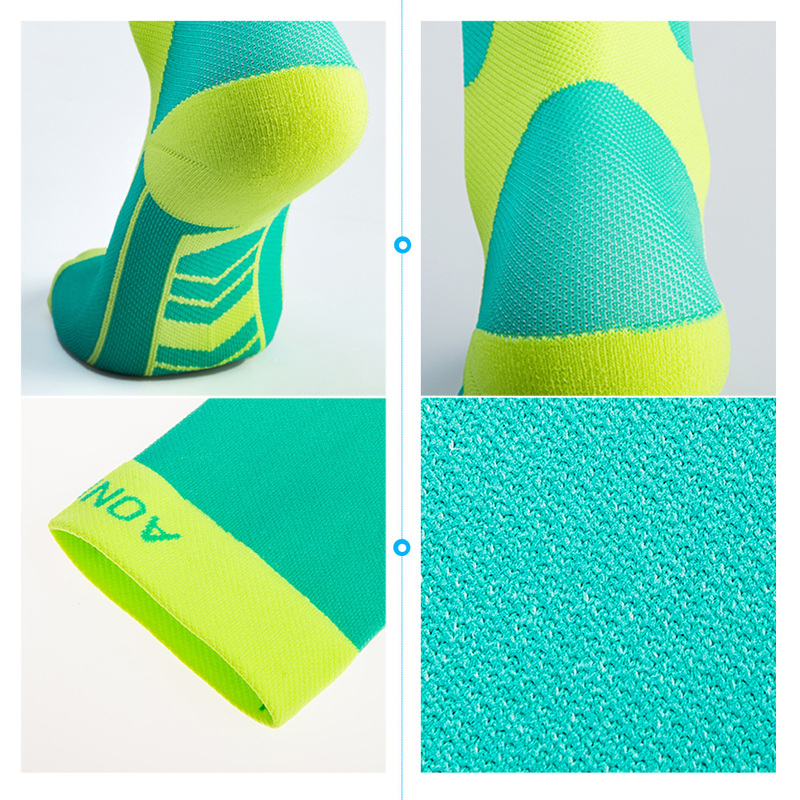 Nylon construction for great wear resistance. 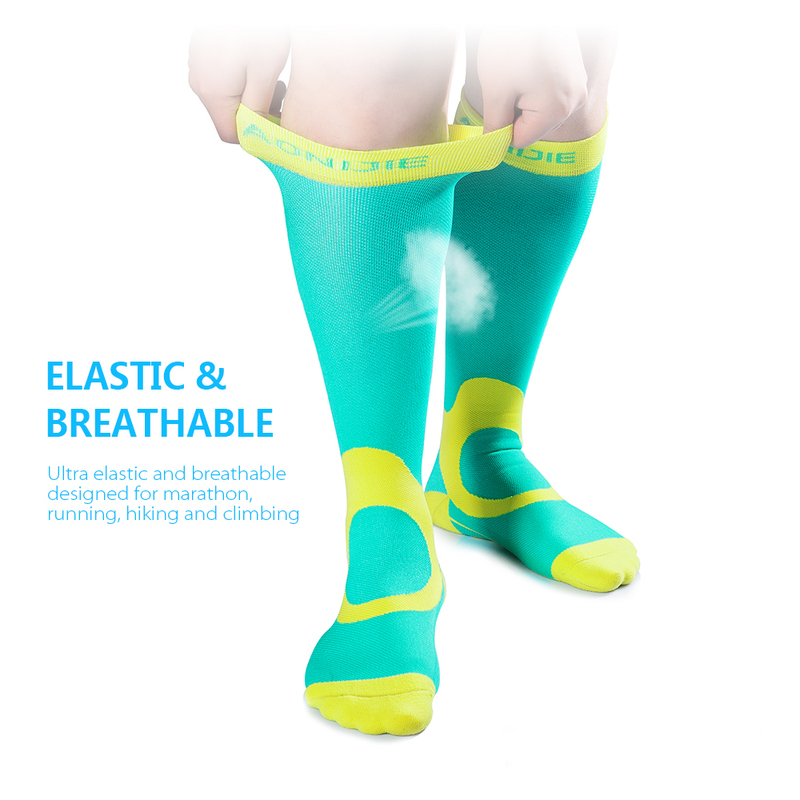 Elastic and breathable to provide a comfortable sports experience, great for a marathon, hiking, running and cycling.